Did a Defective Product Cause Your Work Injury? Hurt by a Defective Product at Work? Maybe you were climbing a ladder and fell. Maybe you were operating a piece of heavy machinery that malfunctioned. If you were injured in a work accident that involved a defective product or faulty piece of equipment, your situation may be more complicated than you realize. Filing a workers' compensation claim is only part of the puzzle – you may also have a case against the manufacturer, supplier, distributor, or retailer of the product that caused your injuries. This means that you could be entitled to compensation beyond work comp benefits. It also means that you need a law firm that can put all of the pieces of your case together. We have a department exclusively dedicated to Pennsylvania workers' compensation as well as teams devoted to personal injury and defective product cases. We've helped over 8,000 injured workers who can't work and have secured over $1 billion dollars in verdicts and settlements for our injured clients. If you have questions about your claim, we can answer them – and we'll do it for free. Just contact us for a legal consultation. We'll talk about your accident, your injuries, and if we think you have a case. Then we'll go over your options. It's that simple. You don't have to hire us for your claim – there are absolutely no strings attached. You can reach us by phone at 1-866-943-3427 or fill out the form to the right. Typically, if you're injured on the job, you notify your supervisor of the injury, and he or she then files an accident report. If all goes well, you work with the insurance company, see their "panel" of doctors for at least the first 90 days, and receive compensation from the insurance company in the form of workers' compensation payments. In Pennsylvania, you can't sue your employer for a work injury – even if you believe the employer was negligent in some way to cause the accident. However, if a defective product led to your injury, you can pursue a product injury case in addition to a workers' compensation claim. 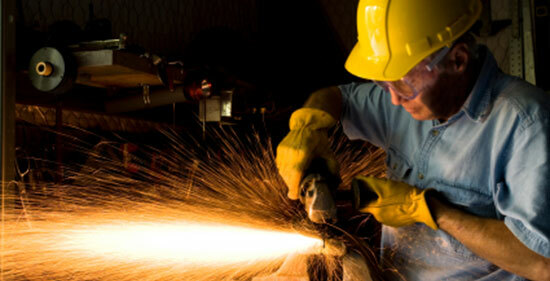 We have decades of experience helping both injured workers and people hurt by defective products. If you hire us, we figure out how much money you're entitled to, and how much money you need so that the future is secure for yourself and your loved ones. $700,000 – Our client was involved in a work-related construction-site accident in which a contractor's air compressor exploded. He suffered shrapnel wounds, including extensive tissue and muscle loss in his thigh and buttocks. $680,000 – Our client, a painter, fell from a defective ladder rung. He suffered multiple brain and internal injuries. $450,000 – Our client was on the job, erecting a pole on a building. A crane on the construction site tipped, causing the extended boom to strike and pin him onto the roof. He suffered bowel lacerations and other internal injuries, in addition to scarring and back pain. If you aren't sure whether hiring an attorney is worth it, remember our motto: "There's never a fee unless we get money for you." If we don't get you workers' compensation benefits or win your product injury case, you won't owe us anything – we guarantee it.